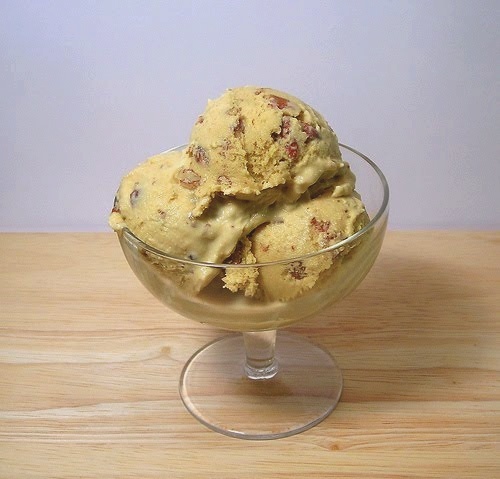 A popular homemade ice cream recipe. You can make it easily at home. This ice cream is very rich and creamy in taste. Combine the light cream, sugar, and butter in a medium saucepan. low heat until bubbles form around the edges of the pan. Let the mixture cool and put it in the ice cream machine. Stir in heavy cream and vanilla. Freeze as directed by your machine’s manufacturer. Add pecan after ice cream begins to harden.